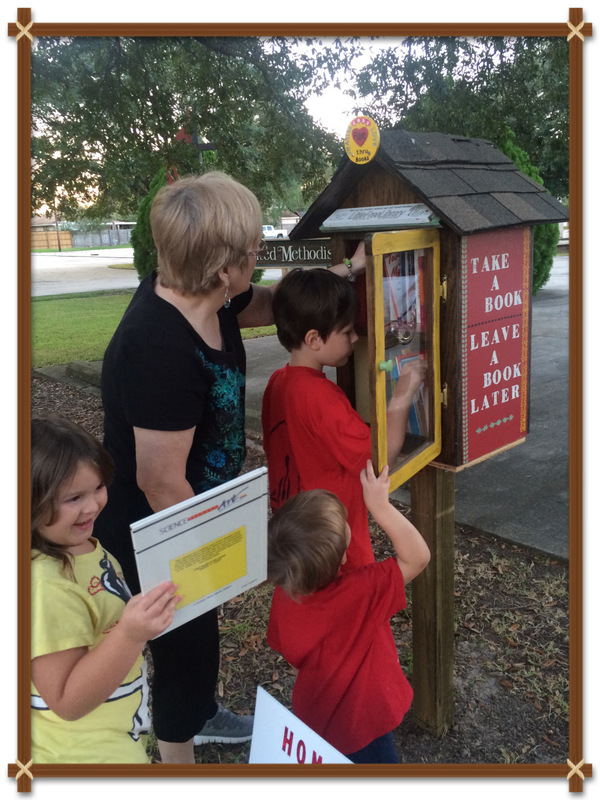 Little Free Library at First United Methodist Church; Gonzales, LA. At our Church we recently put in a Little Free Library. My husband built it with materials he had around his workshop and I had fun doing the painting and stenciling. 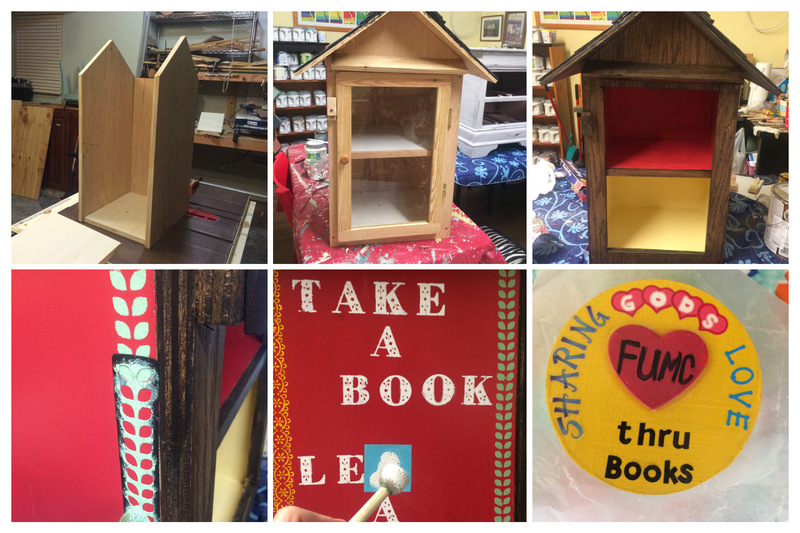 These are fairly easy to make and on the website – LittleFreeLibrary.org you can get ideas on how to make one and find out about registering it. We registered ours so that we would be on the world map to make it easy for people in the area to find us. We have a tutoring/homework help ministry at our church and have had lots of donations of books so this was a great way to provide books to the community and promote literacy. It is for adults and children and the idea is for people to take a book now and leave a book later. But it is okay if the book is not returned. 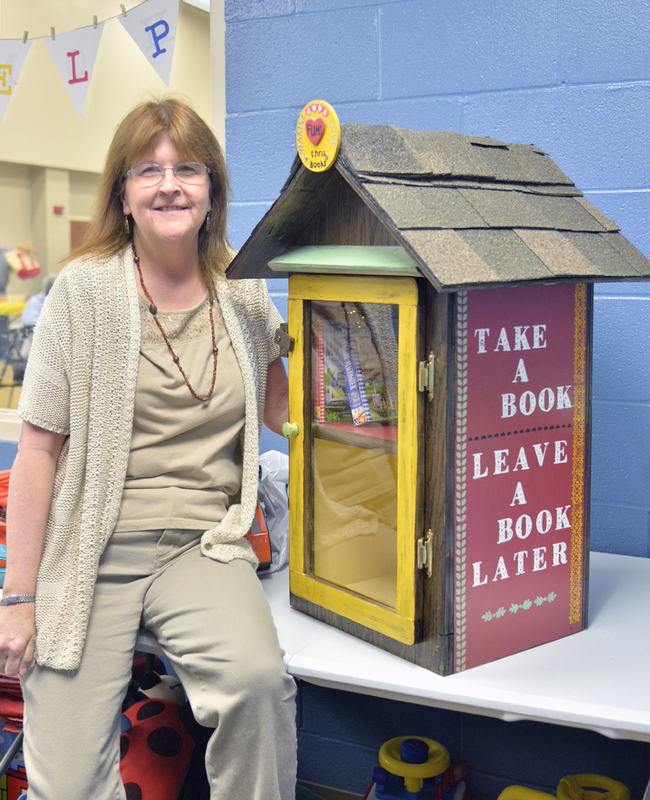 Please look into getting one of these libraries for your church, neighborhood, or school. It is a worthwhile project and we look forward to all of the great blessings that will come from it. This is a collage of the library being built and decorated. The library being installed at the church. The library being blessed by Pastor Mark Goins and the congregation.